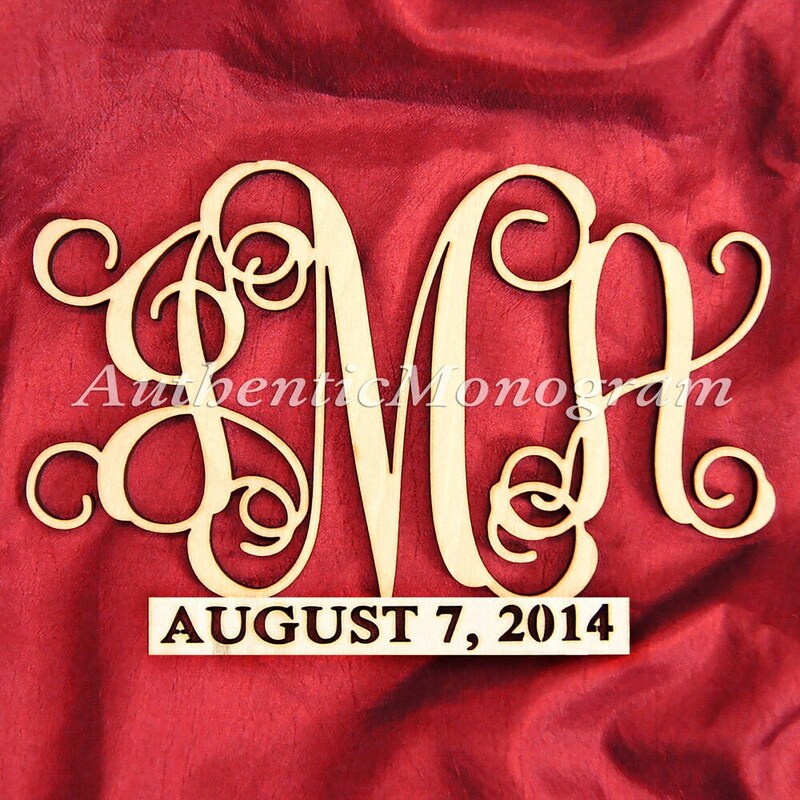 Personalize your Home, Garden, Wedding, Baby and Nursery room with Wooden CUSTOM MONOGRAM and DATE to REMEMBER MONOGRAM in a beautiful vine script. Size of 3 Letters Monogram is width size. Our listings go by width. 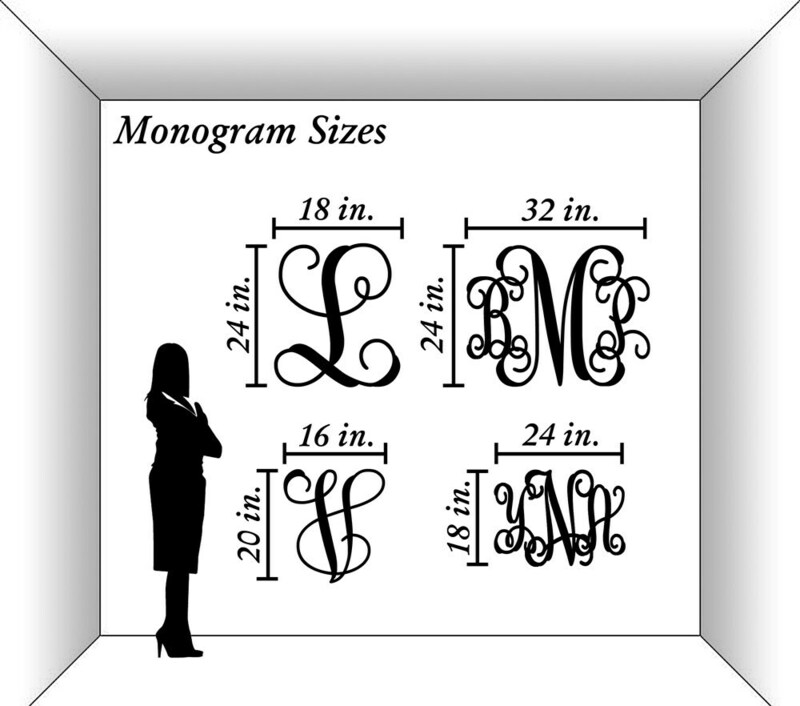 So when you are checking out, you are selecting the width of your monogram. The 32" wide monogram is 24" tall and the 24" wide monogram is 18" tall. They are proportional in size and will look like the image in the listing no matter how big or small. The most common way for monogram is to have the LAST NAME initial in the MIDDLE (Example: Anna Marry Franklin- aFm). For the couples, the wife's first name comes first and then the couples last name in the middle and the husband's first name - on the far right. (Example: Marry and Richard Franklin-MFR). Again, when selecting your initials we cut for your liking, so you Choose! All orders being personalized to your specifications and we are unable to accept if any returns if submitted with errors.